This is what the Hud looks like when you first put it on. 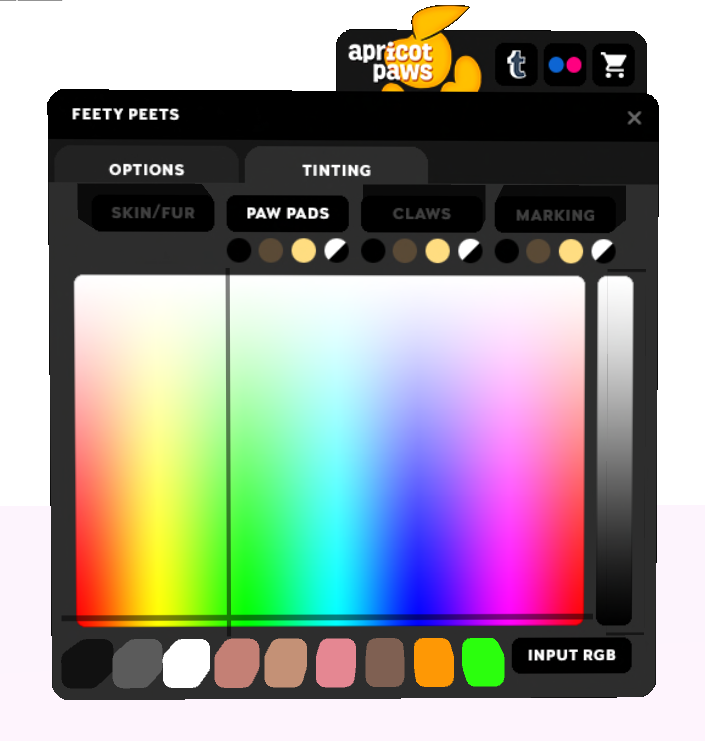 As you can see you can pick the paw pads on the foot to which texture you want, I particularly put my on Mottled. It’s a in between of Leathery and soft. You have an ankle lock for photos, claws short and long. My personal preference mine are kept on short to me long is too long for my liking. Moving on, below I took in-world snaps of how each marking and paw looks. Why I am giving it such a low score because even though it’s high quality for us furs and well made and you can do all this special stuff. 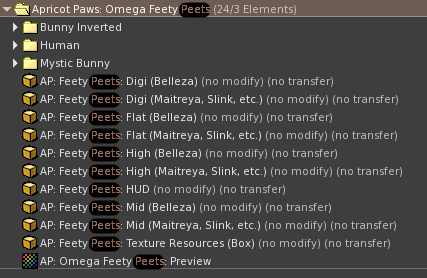 I don’t want to have to separately attach them via inventory where I can just click it via hud like I do with my Slink & Maitreya feet. 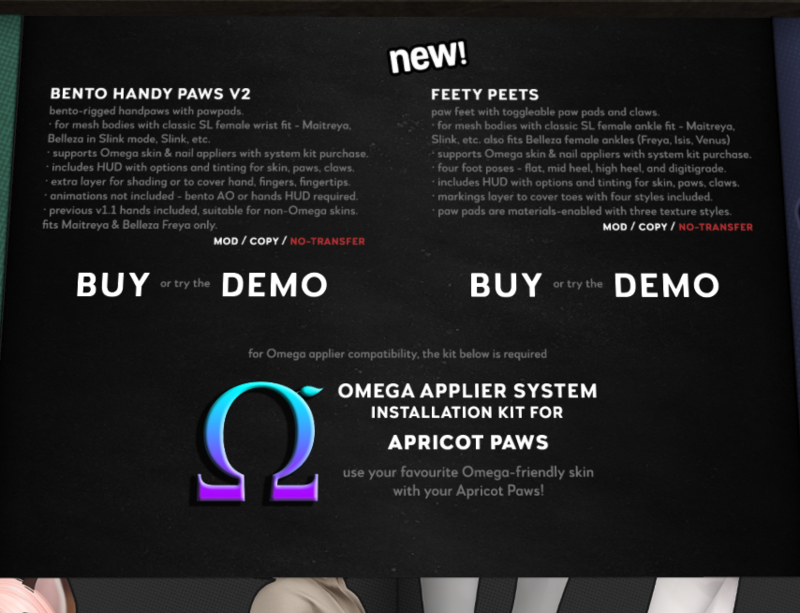 Almost everything is Hud based quick and easy and while I was taking these photos I went through and made sure that all my feety peets were the exact same so I don’t have to change them ever. Only thing I would have to change would be the claw nail polish. With the claws I wish it showed a bit more depth around the claw bed. Like a hint of pink or flesh to let you know that it’s some claw nail bed or something instead of just kind of flat. Kind of look at your dogs claws and get a visual of what I’m talking about to understand.